D4 went to Digman for "to go" halo-halo. 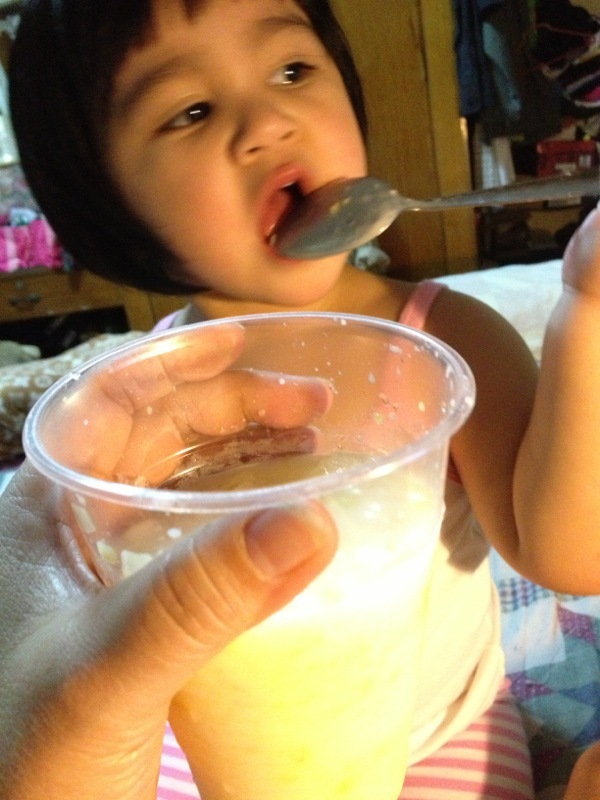 The afternoon was mighty hot so she thought it best to refresh by eating halo-halo. Since all three halo-halo stalls in Digman are not air-conditioned, it was better to take the 10-minute drive to Digman, order take home halo-halo, then eat at home. Somehow, the halo-halo eaten in Digman kinda tasted better. Not for this little girl though. She loved it!